Europe: growing base for Al-Qaeda? A group calling itself the Al-Qaeda of Jihad in Europe has claimed responsibility for the 7 July attacks on the London transport system that left at least 37 dead and hundreds wounded, according to a statement posted on the Internet. The statement warned the governments of Italy and Denmark « and all the crusader governments » that they would be punished if they do not withdraw their troops from Iraq and Afghanistan. The 7 July attacks may be retaliation for a crackdown by European states including the United Kingdom in recent months against Islamic militants. The London attacks are reminiscent of the Madrid train bombings carried out by an Al-Qaeda-affiliated group on 11 March 2004 in retaliation for Spain’s participation in coalition forces in Iraq. Those attacks left 191 people dead and prompted Spain to pull out of Iraq. The extent of the presence of Al-Qaeda and its affiliated groups in Europe has come to light in recent months after a series of arrests and investigations in Germany, France, Great Britain, Italy, Spain, and the Netherlands. The success of such networks lies in the fact that they are « homegrown, » operated by Muslims living in European states who know the terrain and possess European passports that enable them to move easily throughout Europe and the Middle East. A number of jihadist websites supporting Al-Qaeda have reportedly boasted about the group’s European martyrs in Iraq in recent weeks, and Iraq-based terrorist leader Abu Mus’ab al-Zarqawi has appealed to Muslims in Europe to join Al-Qaeda. Many of the suspected terrorist leaders in Europe gained experience in Afghanistan in the 1990s, while others may be new recruits bent on seeking what they see as justice against the United States and its allies for a whole range of transgressions — be they economic or political — but most notably for the multinational operations in Afghanistan and Iraq. Terrorist networks across Europe that were reportedly dormant have been reactivated in the past six months, making Europe a major center for recruiting suicide bombers — ahead of the Middle East, North Africa, and Asia, London’s The Observer reported on 19 June. The report cited unidentified intelligence sources as saying that there are up to 21 networks active in Europe, some of which are linked to over 60 groups in North Africa — not surprising since the majority of Muslim immigrants to Europe come from the North African states of Algeria, Morocco, and Tunisia. The networks are responsible for training and recruiting volunteers, particularly for jihadist operations in Iraq, the report contended. A 17 May statement by German Interior Minister Otto Schily cited Islamist extremism and terrorism as the « greatest threat » to national security. Schily cited the 2004 Protection of the Constitution Report as saying the number of « members and followers » of Islamist organizations in Germany is 31,800, with the number of « potentially extremist foreigners » in Germany at approximately 57,500. The statement did not allude to the classification guidelines that produced those numbers. Schily added in his statement that 171 preliminary proceedings have been initiated in Germany against suspected Islamist militants, including one person arrested on 24 January who is suspected of taking part in Al-Qaeda training camps in Afghanistan « on several occasions. » That person admitted to having been instructed by Al-Qaeda to recruit suicide assassins in Europe. Since December, at least 30 people have been arrested in Germany for their alleged role in Islamist terror networks, including at least six members of Ansar Al-Islam, the Iraq-based group that grew into the Ansar Al-Sunnah Army, which is affiliated with Abu Mus’ab al-Zarqawi’s Tanzim Qa’idat Al-Jihad fi Bilad Al-Rafidayn. Ansar Al-Islam’s founder and spiritual leader, Mullah Krekar, has been living in Norway since 1991. Members of Ansar Al-Islam-affiliated groups have also been arrested in France in recent weeks. 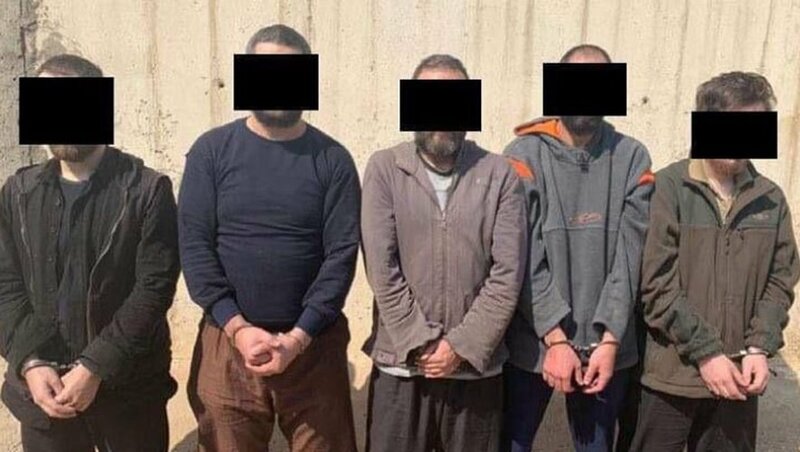 Seven people were arrested on 21 June as part of a French judicial investigation into networks that recruit and provide logistical support to Al-Qaeda in Iraq. The arrests marked the fourth operation this year by French intelligence against Islamist networks operating in support of militants in Iraq. Meanwhile, the Algerian Salafi Group for Preaching and Combat has reportedly formed an alliance with al-Zarqawi’s group to target French nationals in Iraq and worldwide, London’s Al-Sharq al-Awsat reported on 3 July. The Algerian group is targeting France for « supporting the Algerian regime, » the newspaper reported. In one recent U.K. operation against homegrown terror, police arrested one man in Manchester in late June on suspicion that he was recruiting suicide bombers in Britain to attack multinational forces in Iraq. The threat to Britain was well-known after 11 September 2001, when intelligence indicated the presence of a number of radical groups in the country, who recruited British Muslims through various means, including English-language propaganda and the establishment of « study cells » on university campuses, Jane’s Intelligence Digest noted in December 2003. Britain is also home to a number of Islamist publications and websites, including the pro-Hussein newspaper Quds Press, and the Islamic Renewal Organization — a website forum run by Saudi national Muhammad al-Ma’sari, which regularly posts statements for Al-Qaeda. European governments had largely ignored the threat of terrorism on their soil before the Madrid attacks, and security analysts have said that European laws and outdated intelligence-gathering procedures have worked to the detriment of law-enforcement agencies, which operate under guidelines different from those in the United States. For example, European law-enforcement, security, and intelligence services after 11 September 2001 continued to target only known terrorist cells, Rohan Gunaratna wrote in the Summer 2004 issue of Washington Quarterly. The intelligence apparatuses in Europe failed, however, to address the growing number of associated groups or support cells that provided assistance to Al-Qaeda in terms of recruitment and financial transfers. It was considered politically incorrect to revise the legislative framework to target several hundred terrorist-support cells active on European soil, » Gunaratna contended. 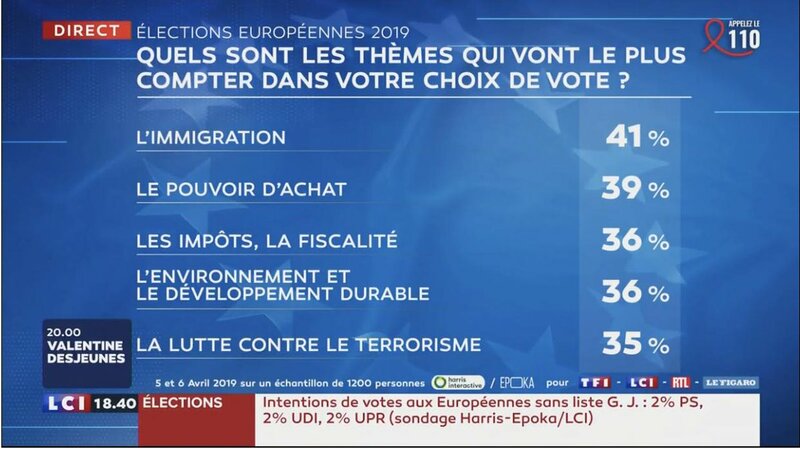 In addition, European states in the post-11 September environment did not take the terrorism threat seriously. In the 2 1/2 years since 11 September, Al-Qaeda had carried out only one terrorist attack a year, while groups associated with Al-Qaeda had carried out four times that number — on average, one attack every three months. Security analysts have said that Europe will continue to be hindered in its fight on terror as long as insufficient laws remain in place that inhibit the investigation of terrorist activities. France’s top antiterrorism judge, Jean-Louis Bruguiere, told BBC Radio 4 in a 31 May interview that practices such as wire-tapping need to be legalized in Britain. « We have a lot of legal means you [Great Britain] don’t have and these legal means allow us to control and possibly prevent terrorist activities, » he said. He added that terrorists could easily enter the United Kingdom from France or continental Europe with false papers. « If you don’t have this possibility to have a database, to know exactly and to control individuals which would be suspected to use false papers in terrorist activities, you miss things, » he said, suggesting France’s compulsory identification-card system has helped stem attacks there. J'ai trouvé cet article qui pourrait vous intéresser: "Europe: growing base for Al-Qaeda?". Voici le lien: https://www.terrorisme.net/2005/07/07/europe-growing-base-for-al-qaeda/. Bonne lecture!